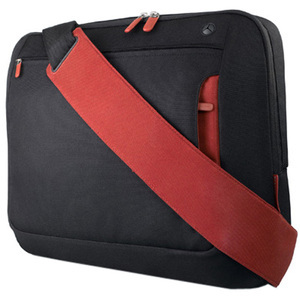 Belkin's Messenger Bag brings you the comfort of a lightweight case with the features and capacity of a much larger model. This case provides a plush notebook compartment for secure mobility. Made-for-you organization inside holds everything in its place,including MP3 players,cell phones,business cards,pens,and other accessories. A separate pouch stows your power adapter and cables. The unique thin-design strap contours nicely to your shoulder for optimal comfort with minimal bulk and weight.